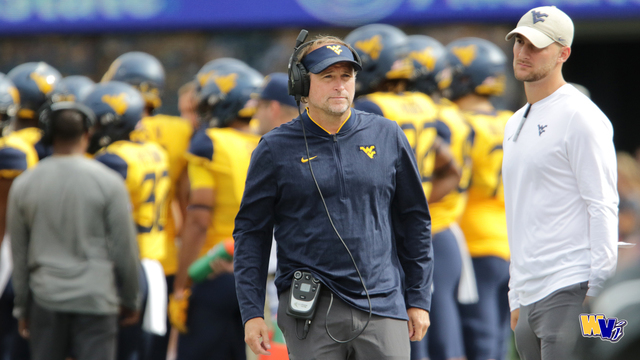 MORGANTOWN, W.Va. - A WVU official has confirmed that the program has granted Houston permission to interview Dana Holgorsen for its vacant head coaching position. Holgorsen, who has been the head coach of the Mountaineers since 2011, served as the offensive coordinator and quarterbacks coach at Houston from 2008-09. In eight seasons at WVU, he has led the Mountaineers to a 61-41 record, including a 2-5 mark in postseason games. Houston fired Major Applewhite Sunday. Applewhite compiled a 15-10 record in two full seasons as head coach. Holgorsen’s buyout will drop from $2.5 million to $1 million Jan. 1.